A Michigan logo bracelet for Michigan State fans. An enamel circular MI charm and clear Swarkovski crystals in a dangling heart shape. An unusual piece of fine jewelry from our Annaleece Collegiate Collection. Toggle style chain bracelet of Rhodium. Show your love for Michigan State. Alumni and fans alike. 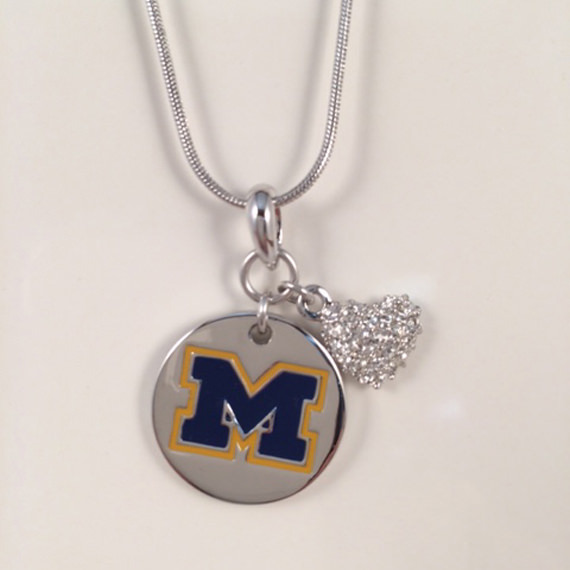 Pair this with the Michigan Logo Necklace. Also from our Annaleece collection.